Is your iPhone not letting you send text or iMessages? This is not an uncommon problem to experience as many iPhone users have complained that sometimes the device just won't send or receive messages. If this is what is happening to you, it is entirely possible that a software issue has afflicted your iPhone. But don't worry! There are a few things you can try to get your device working normally again and go back to communicating with your friends. Let's take a look at some of the most viable solutions. The first solution you should always think of when your device is experiencing any kind of software issue like this one is a hard reboot. It is easy, non-invasive and will work to sort out just about any issue. Here's how to do it. Press and hold the On/Off button and Home button at the same time for at least 10 seconds, until you see the Apple logo. 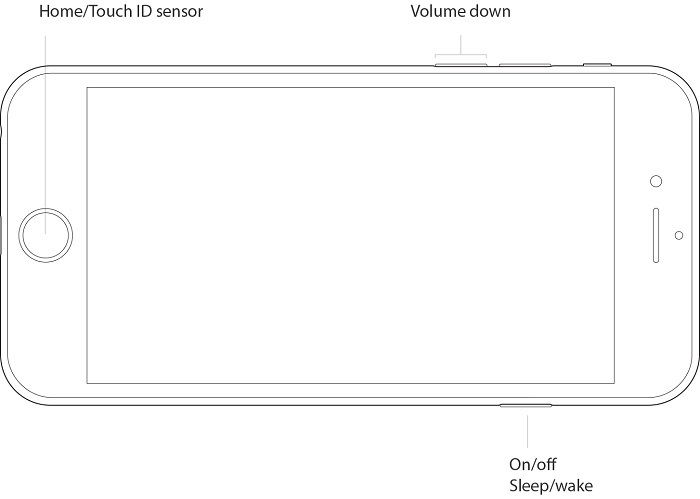 Press and hold both the Sleep/Wake and Volume Down buttons for at least 10 seconds, until you see the Apple logo. When the device reboots, check to see it the problem has been fixed. If not, try our second solution. If you see an alert saying "Waiting for Activation" when you try to send iMessages, toggling iMessage may solve the problem. Here's how to do it. Step 1: Go to Settings & Messages. Step 2: toggle off iMessage and then Turn it on again. If that doesn't work, keep reading. Remember we said that you may be unable to send and receive texts because your device may be having a software issue? Well, if none of the solutions above work, you may need to update your firmware to fix any problem you're having. You can do that quite easily and quickly using iMyFone D-Back iOS System Recovery, a program designed to get your device out of any software problem. It is very easy to use, all you need to do is download the program from iMyFone official download center, and then connect the device to your computer. Follow the detailed instructions iMyFone provides and hopefully have your device back to normal in a few minutes. And the program also offers other excellent features to help you manage your data on iOS devices. Recover and extract files from iOS devices/iTunes backup/iCloud backup. Support 22+ types of files including photos, videos, WhatsApp and more. Support the almost all the iOS devices models and iOS version, including the latest iPhone 7 and iOS 11. Offer free trial version to all the users. You are a Mac user? See Mac version iMyFone D-Back. Having the VoLTE has been known to cause a few problems with the iPhone 6 or iPhone 6 Plus. To see if this is the problem, try turning LTE off or using it only for data. Here's how to do it. Step 1: Open the settings app and tap on "Cellular." 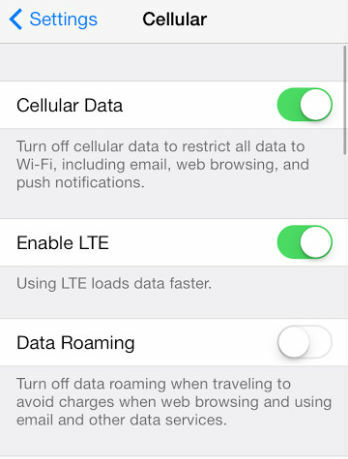 Step 2: Tap on "LTE" and then Tap on either "Data Only" or "OFF". Step 3: Reboot the device to see of the problem has been fixed. If you do all of that and you're still unable to send and receive text messages, it may be time to contact Apple for further assistance. What Happens If I Restore My iPhone (iOS 12 included)?